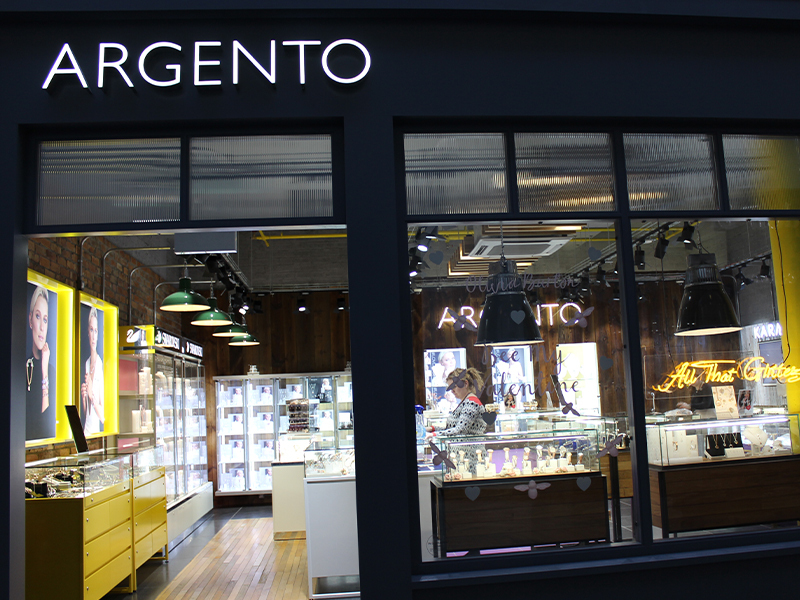 Argento is a leading fashion jewellery retailer in Uk and Ireland. 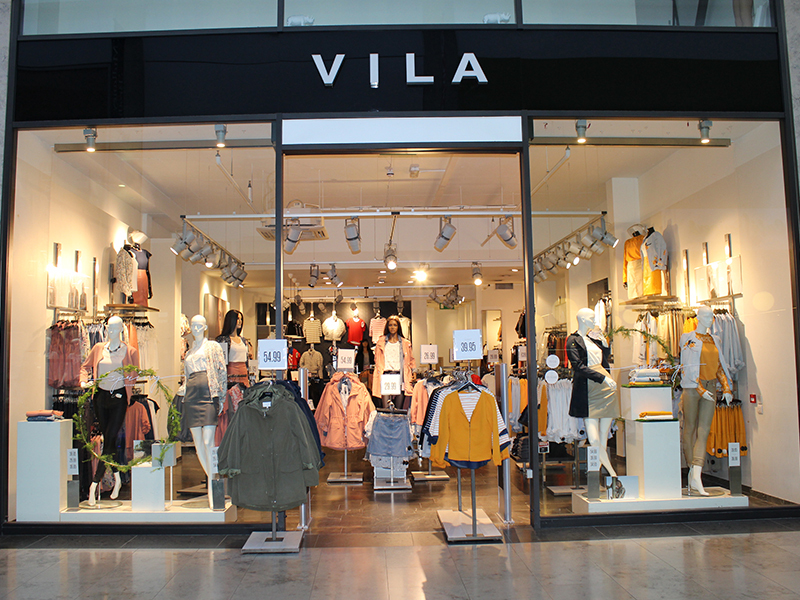 Bringing you the latest trends and unique collections sourced from around the world. 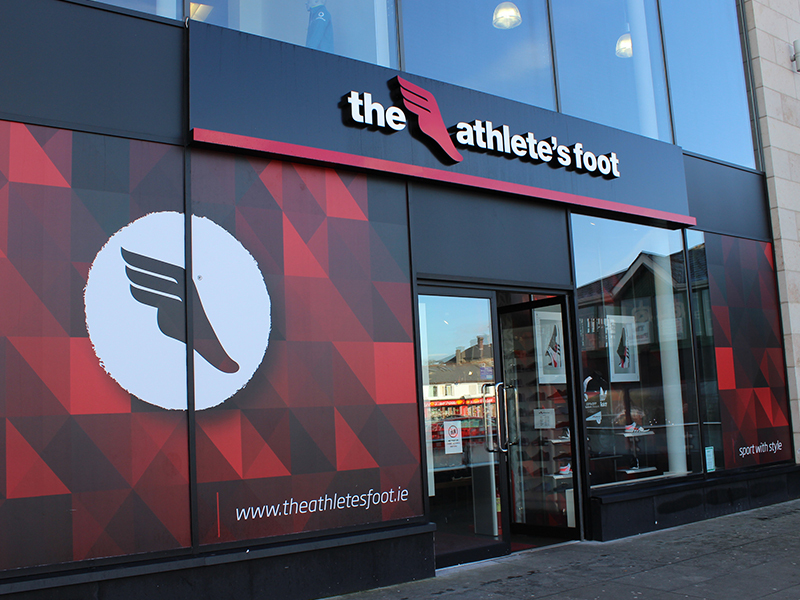 We are a global retailer for trendy athletic footwear and apparel. We believe in making our customers the athletes of thier passion, and put more style into thier game. 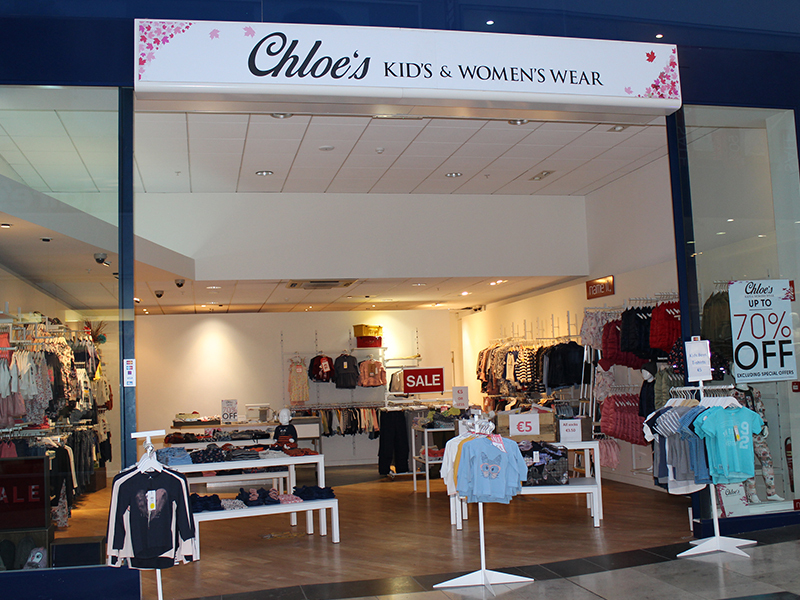 Chloes Kidswear offers a range of clothing starting from size 1 month to 12 years. For the latest trends in jewellery & accesocieries for girls, teens, tweens and more. 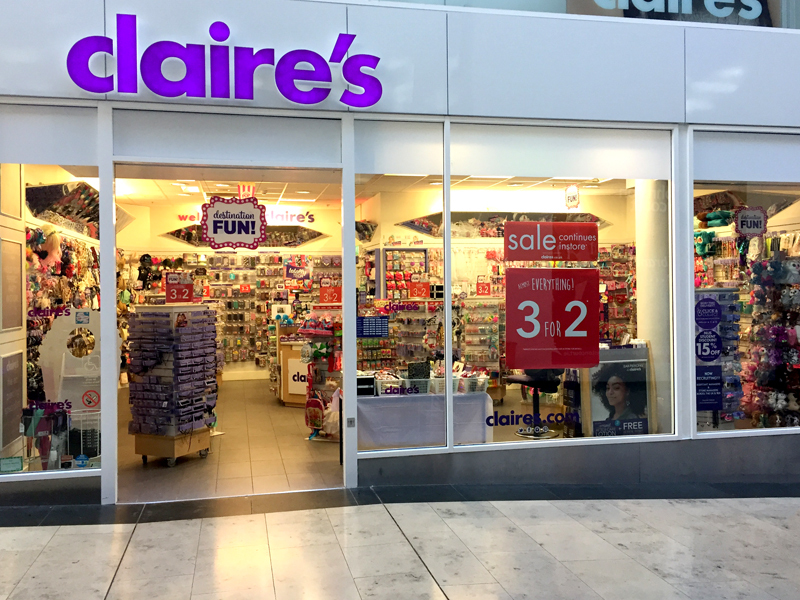 Come to claire’s for exclusive offers. 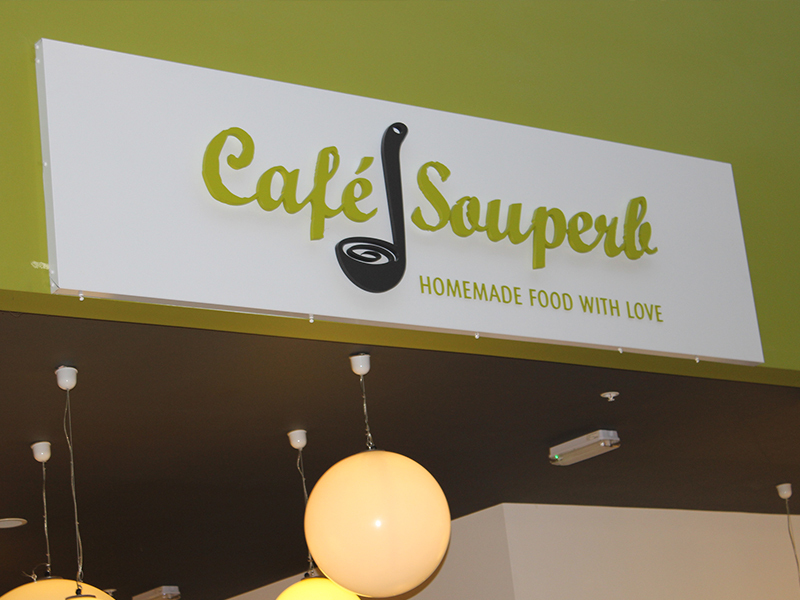 The nation’s favourite coffee shop, it strives to make things even better that’s why it always improves services to deliver a perfect cup of coffee to you. 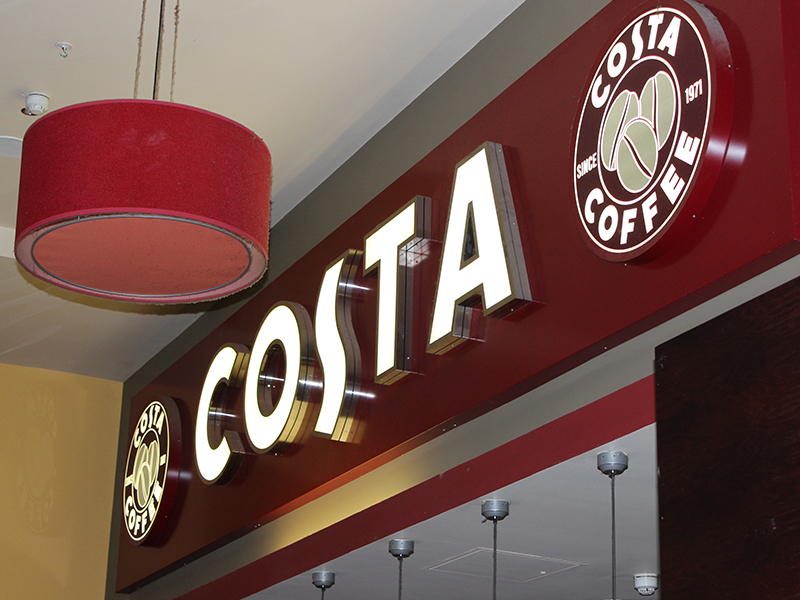 Costa Coffee For Coffee lovers. 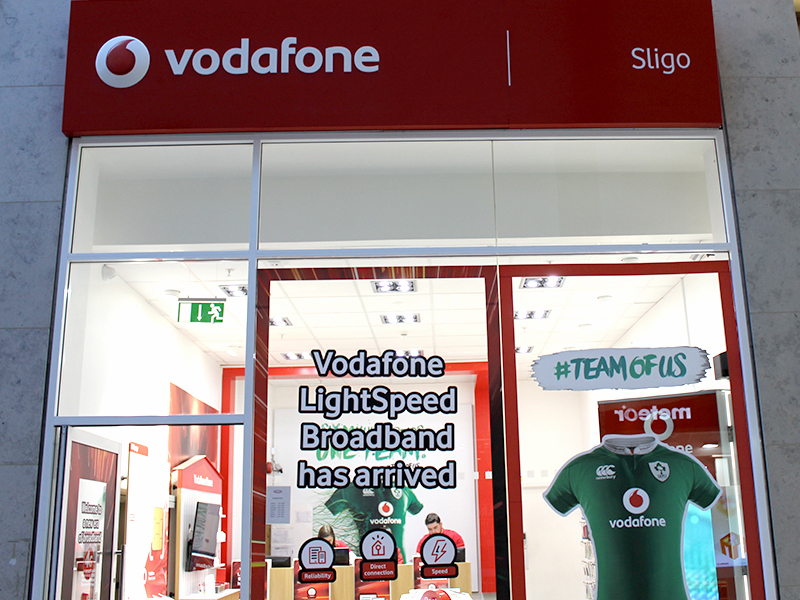 To Provide both pay as go and Bill pay plans, Our aim is to give the people of Ireland what they really want from a network – an easy to understand,combined with ground-breaking deals and great customer service. 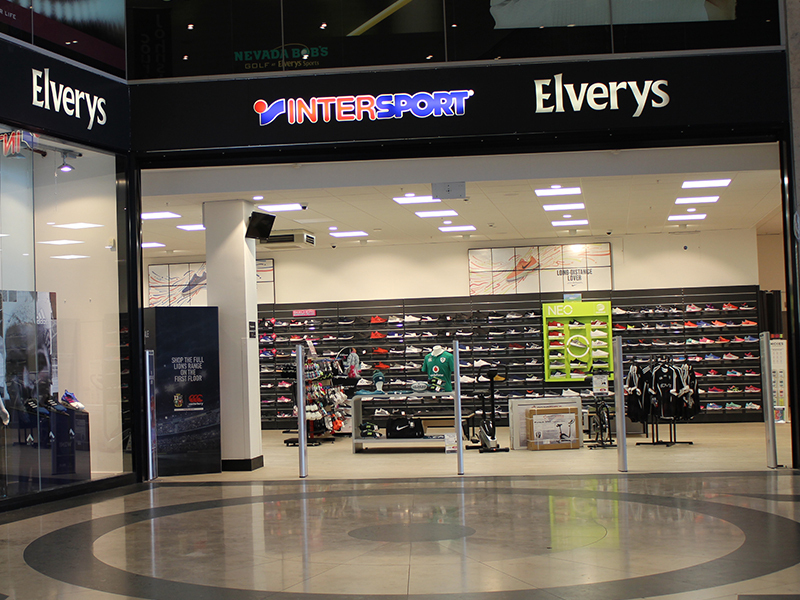 Irish owned sports company specialising in sporting goods, clothing ang gym equipment. 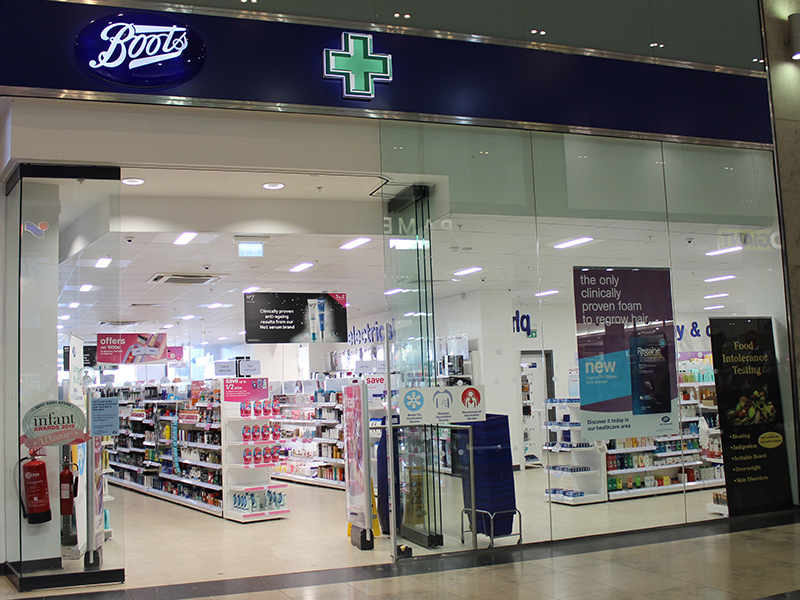 Top brands at low prices. 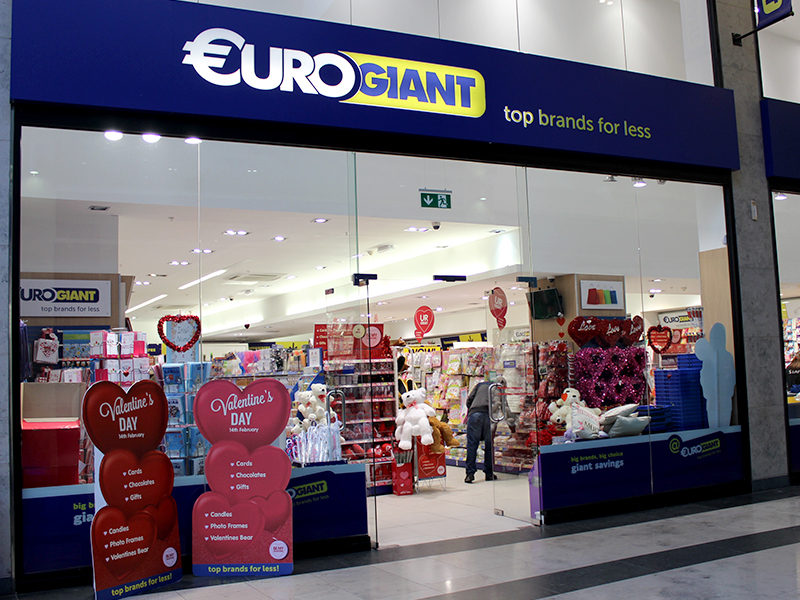 Come visit our friendly environment for some grear bargains. 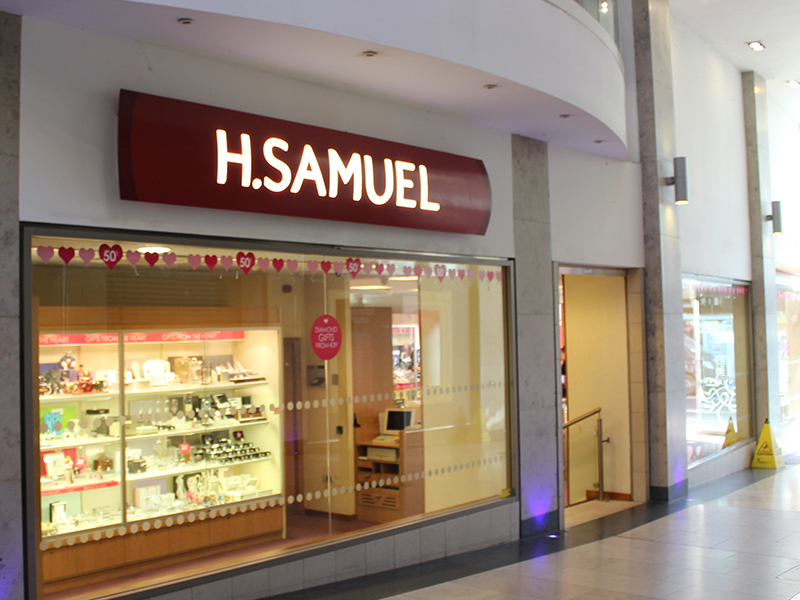 High St Chain selling mens’s and ladies gold, silver and diamond Jewellery, watches and gifts. 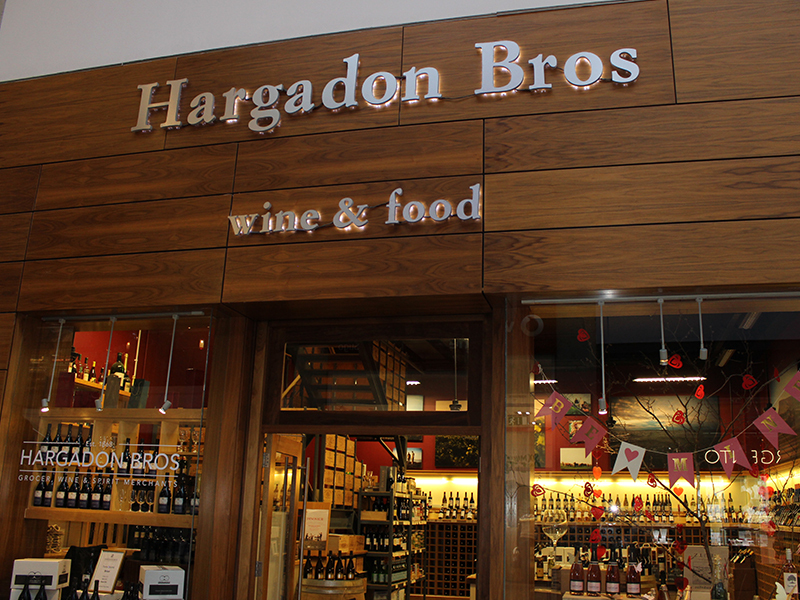 Walking off Sligo main shopping street into Hargadons is like taking a step back in time.The businesses carried on included general grocery and the retail and wholesale of beer, wine and spirits based in the cellars and bonded warehouse at the rear of the building. 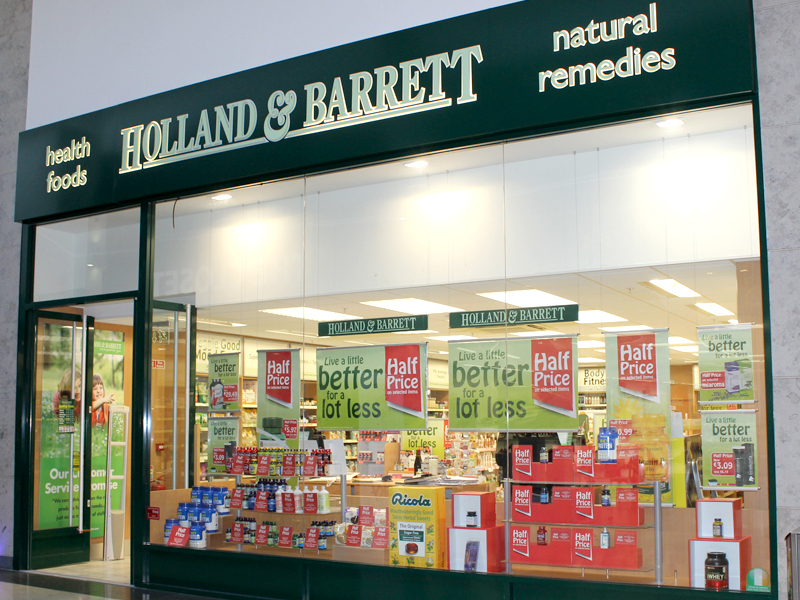 Holland & Barrett is Europe’s leading retailer of Vitamins, Minerals and Herbal supplements. 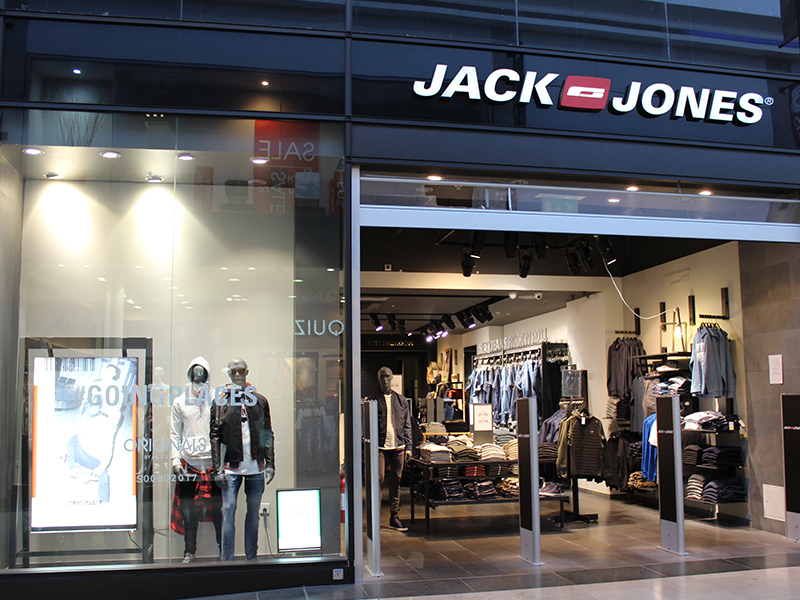 Jack and Jones mens clothing store offers a range of five brands. 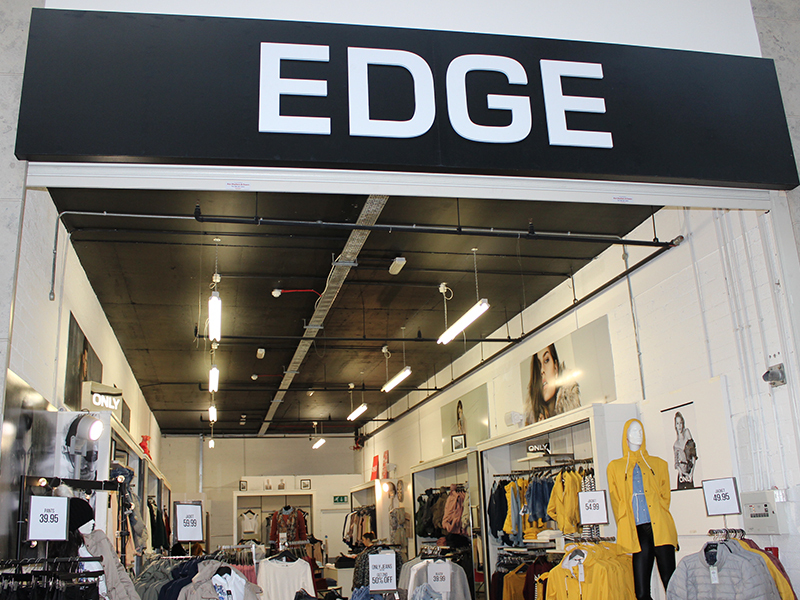 Each brands offers a full selection of clothes, accessories and footwear which makes it easy for you to create a complete look. 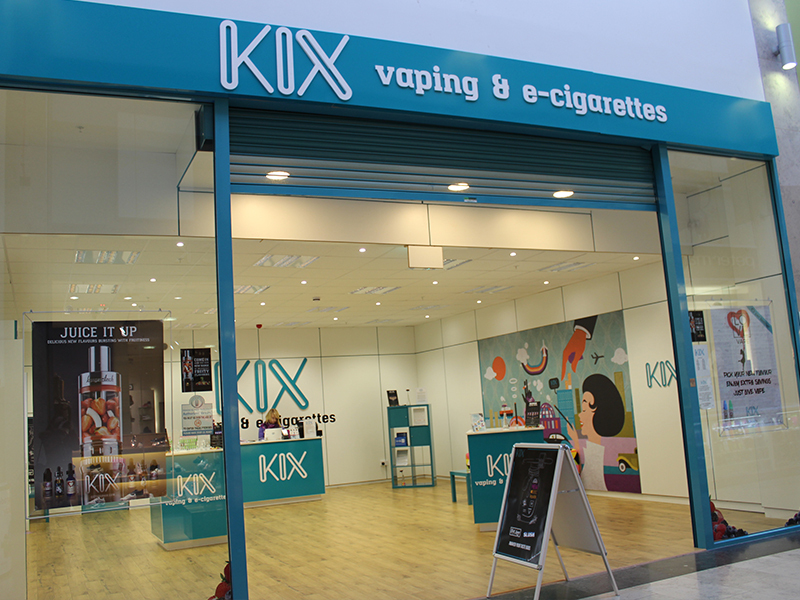 Kix offers customers a complete introduction into the world of vaping with varied range of premium products. We have a wide selection of eliquids and vaping equipment with something for both new and exprienced users. 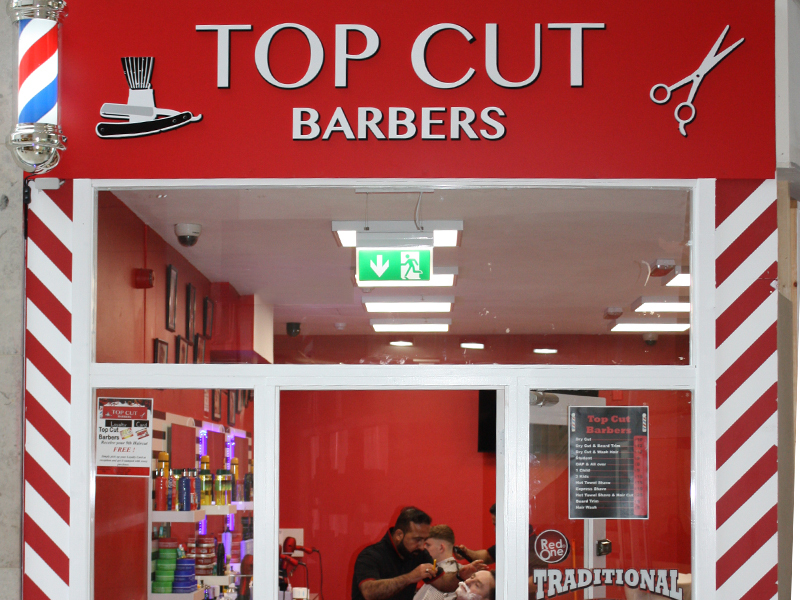 Located in O Connell Street in the heart of Sligo, providing a tradition of service to both local and visitor alike. 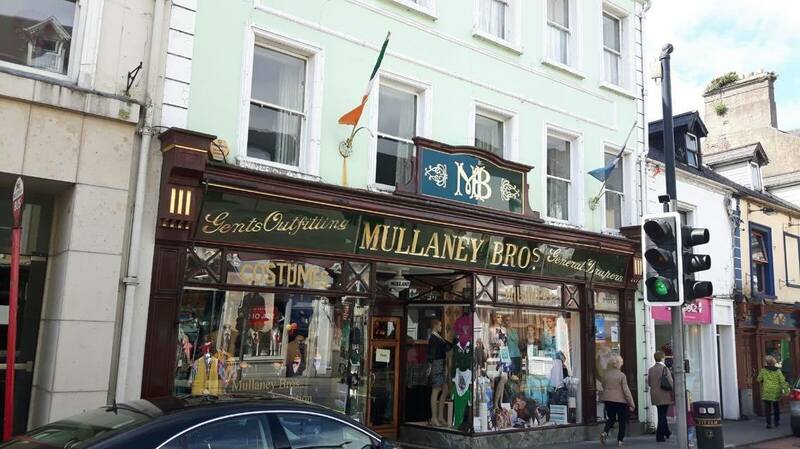 We specialise in sourcing quality International and Irish merchandise and design from t-shirts, scarves, sweater, coats and jackets plus a range of linens for household and tabletop. Pamela Scott stocks leading labels such as Sophie B, Twist, Zapara, Gerry Weber etc with exclusive occassion dresses catering for weddings, Debts, confirmation and a length of stunning evening wear brands from all over the world. Peter Mark was founded in 1961 since then it has grown into Ireland’s best known hairdressing brand and one of Europe’s most successful hairstyling groups with 71 salons nationwide. 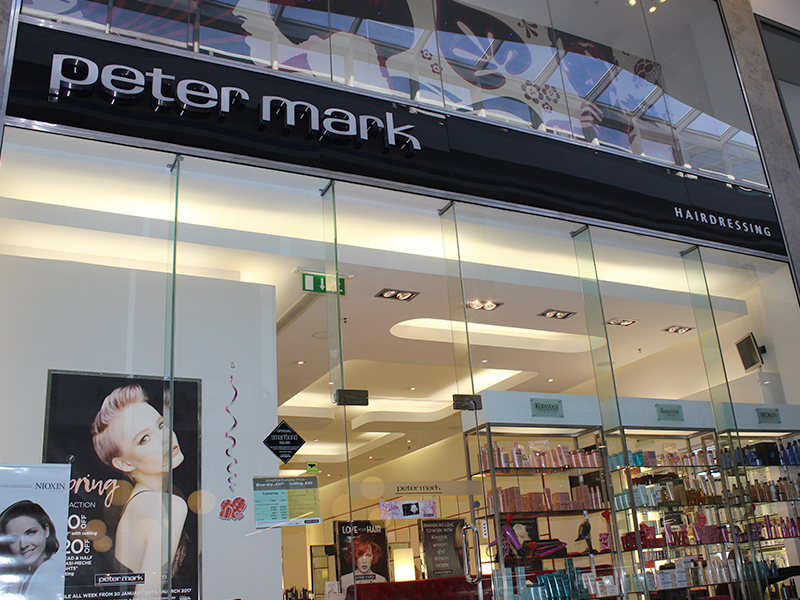 Peter mark also retail a wide range of brands, both in salon and online at petermark.ie. 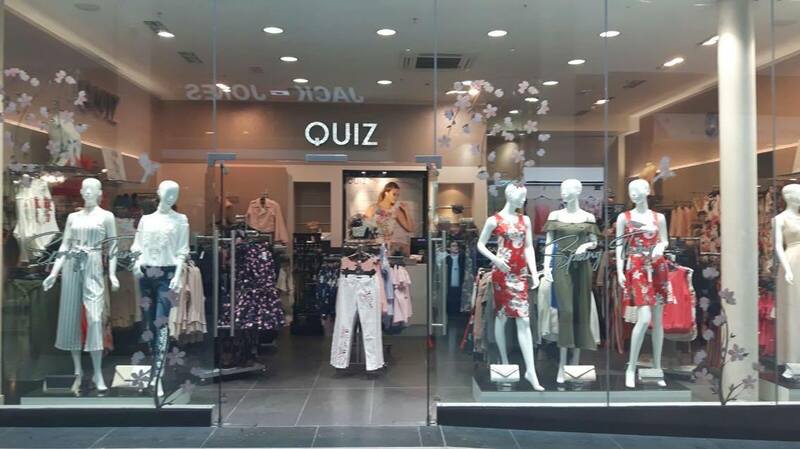 Quiz is a dynamic fresh fashion store focusing on delivering catwalk style looks and all the latest trends at value for money all in the heart of sligo. 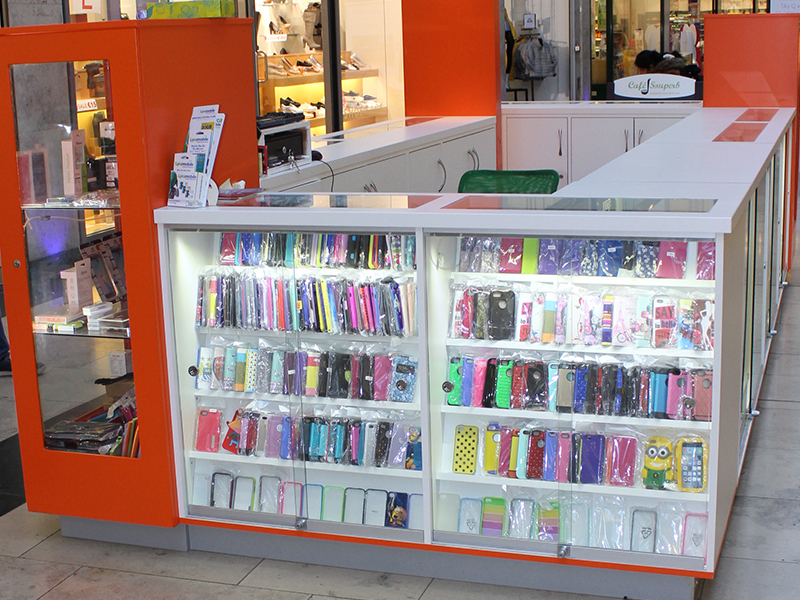 We provide a large range of mobile phone and tablets accessories, also offer unlocking and phone & laptop repairing service. 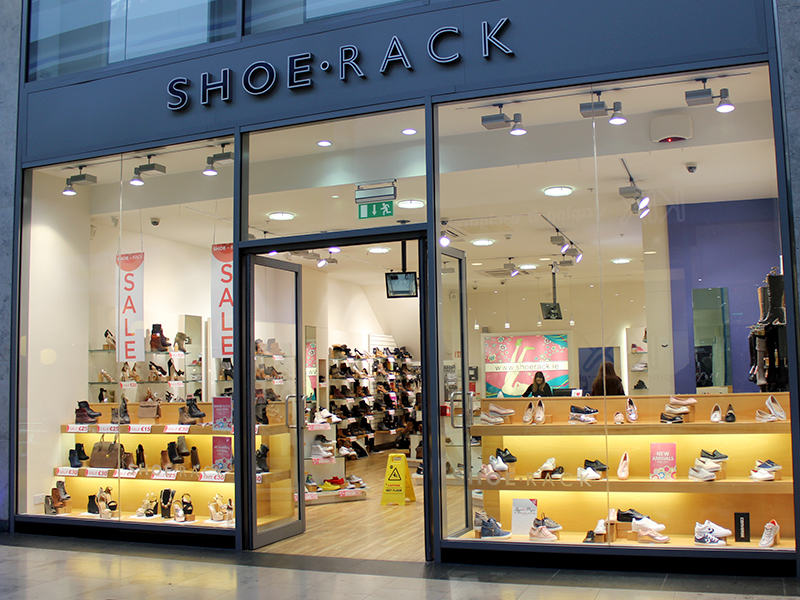 Shoe Rack is the place for shoe lovers. From laid-back to sleek and chic, there are styles for everyone. 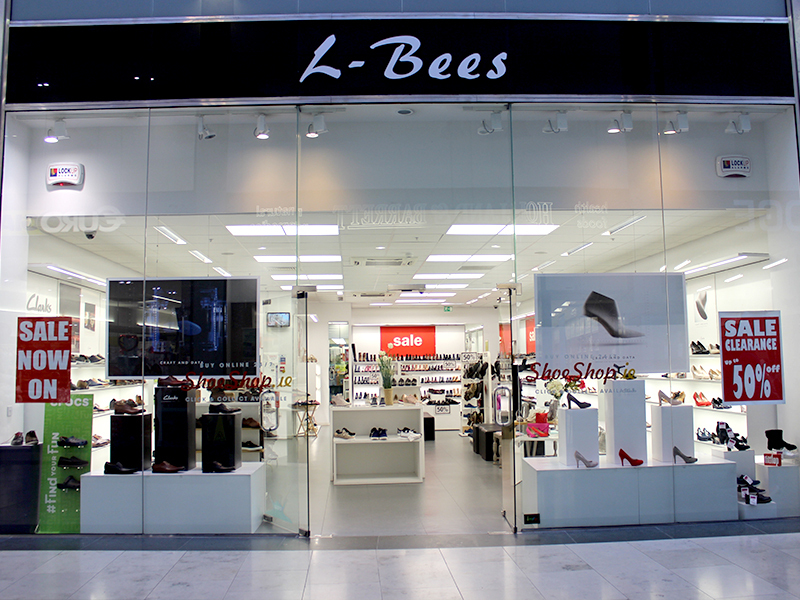 You’ll find your favorite shoes at great prices every day. Feminine Clothing burshing with statement prints & elegant lace pieces at affordable prices. Perfect Clothing to bring you from work to that Special Occasion. 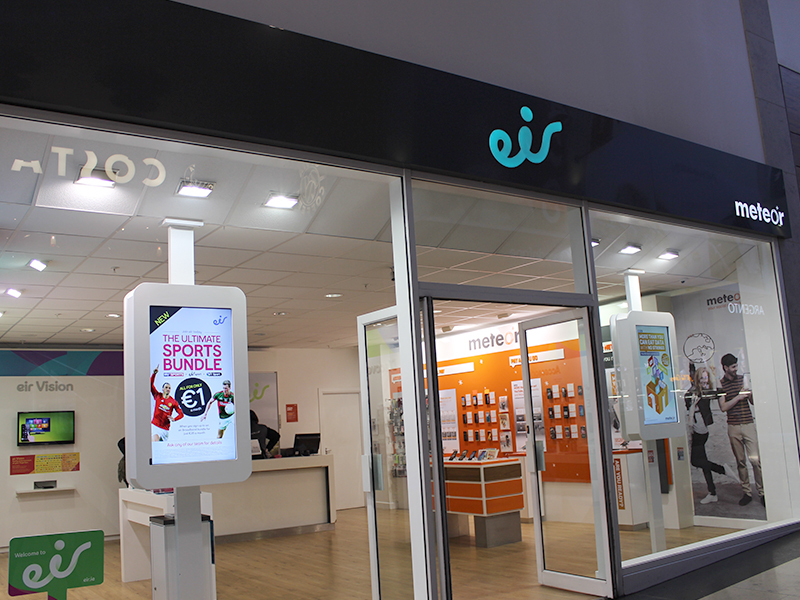 Mobile phone operator offering a complete range of phones, services, accessories and tariffs including home broadband and TV.